I was so excited after a weekend away in Sydney to find that a magazine had arrived on Friday. 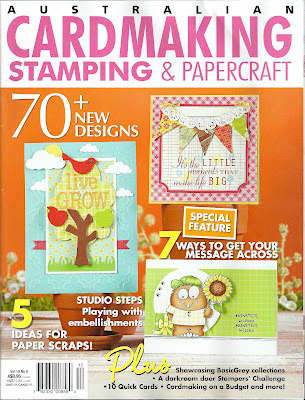 On page 89 of the Australian Cardmaking Stamping and Papercraft magazine (18/8) is a card by yours truly (top left). This card was made with my favourite Hero Arts Stamp (Antique Flowers and Butterflies) and papers from My Mind's Eyes (Lost and Found 2). This was submitted a few months ago and was accepted for publication. Yay! My first publication!! Congratulations on your first publication!!! It's gorgeous! How cool is that! Congratulations on your first publication! Well deserved! How wonderful! 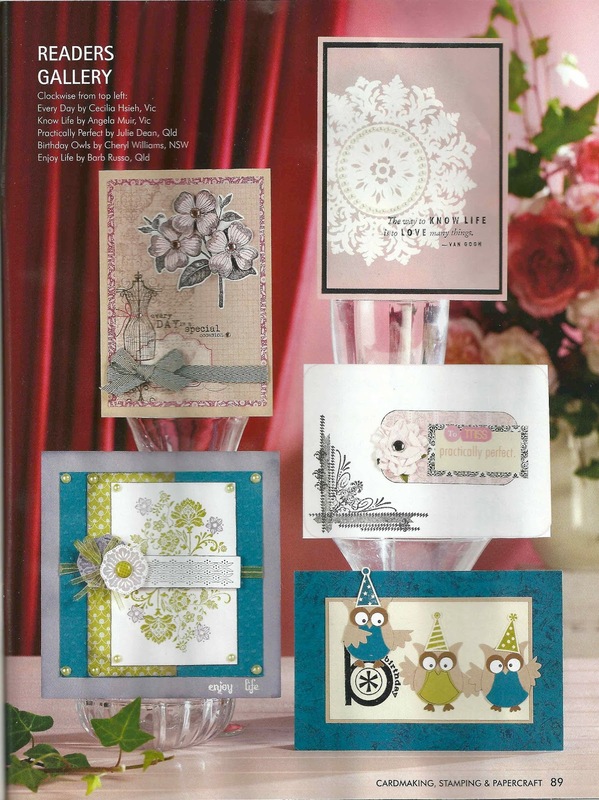 Congratulations...and a beautiful card! 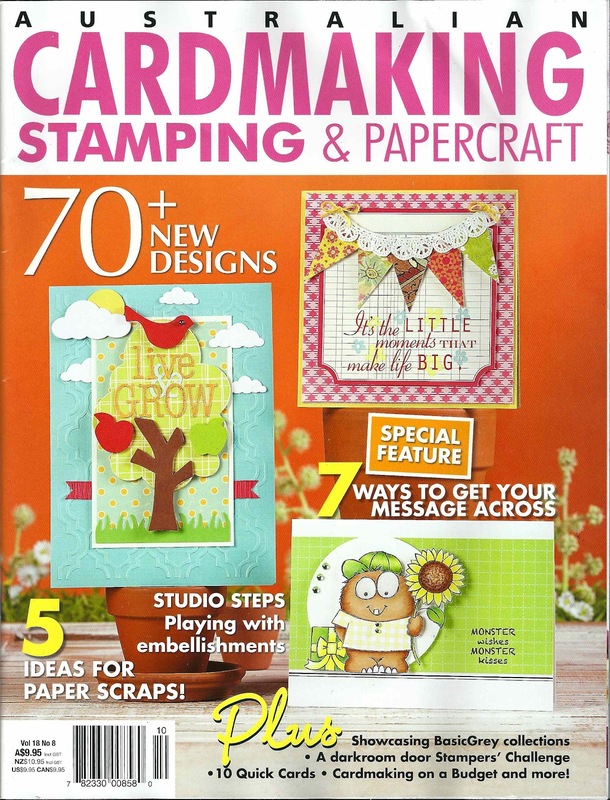 Woo Hoo - big congrats, Cecelia - love your card!! Really pretty card! Big congrats on your pub, Cecilia! Cecilia, big congratulations on being published! Your card is absolutely gorgeous! Congratulations Cecilia on what is I'm sure the first of many publications. Congrats on your first publication, Cecilia! Beautiful card! Wonderful news! Good for you!! Congratulations! There's nothing like the feeling you get seeing your card in a magazine. Lovely work! I haven't had any for quite awhile until Stamper's Sampler Take Ten came in the mail yesterday with one of my cards.